FairMail - Blog - First French FairMail calendar available now! FairMail’s first French calendar is now available! 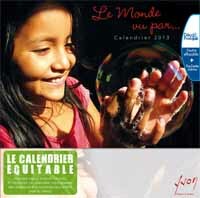 In cooperation with FairMail’s French publisher “La Carterie” a 2013 calendar was produced. The artistic team at La Carterie choose to make a fair trade calendar using 12 portraits made by the FairMail teenagers in Peru and India.